Want to start a business in Finland? This week APN dives into immigrant entrepreneurship in Finland and looks at what it takes to get in the game. Do you dream of being your own boss? 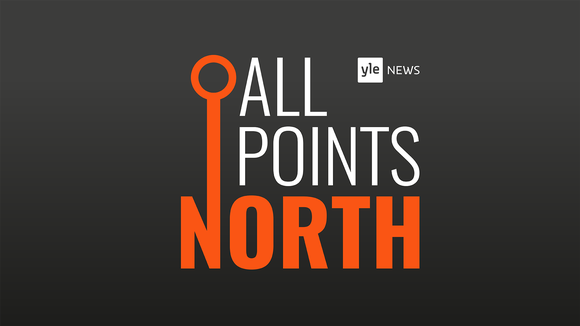 Listen to what our All Points North special guests Edem Agbekey-Taylor, who single-handedly built up her beauty brand and got it on the shelves of major Finnish chains, and Kaisu Keisala-Kaseja, a newly-appointed private sector immigrant entrepreneurship coordinator have to say. In addition to sharing practical tips on running a business, Keisala-Kaseja points budding entrepreneurs in the direction of NewCo, Helsinki City's one-stop shop for new business training and advice. We also talk to Markku Visti of the Uusimaa employment offices network who helps us cut through some of the red tape involved in starting a business. Peeling back the layers, APN takes a look at the newly-minted startup visa intended to attract new businesses to Finland and asks whether brick-and-mortar SMEs need a counterpart to the popular Slush business fair, which focuses heavily on cutting-edge tech. Looking back at the week's news, migration stories made headlines, with Finland's immigration agency Migri saying that Afghan families with children applying for asylum will no longer be urged to seek refuge in Kabul. Meanwhile, Iraqi asylum seekers in Finland will soon be able to get passports once Iraq opens a passport centre in Finland. APN also reviews the week's big news stories including reports that a local politician from the nationalist Finns Party has been fined for inciting violence against the Finnish Red Cross (FRC), which runs many of the country's reception centres for asylum seekers. In other news coming from the judiciary, a southeast Finland District Court has fined a clothing shop in downtown Kouvola for discriminating against a woman belonging to Finland's Roma minority last year. Living hand to mouth also made the news this week with a fresh study that found that 60,000 people in Finland meet the definition of 'working poor', meaning that they earn around 1,800 euros a month. However research suggests that up to 400,000 people work in the gig economy or on short term contracts and use social benefits to make up the shortfall, excluding them from the category of 'working poor'. Turning to sports, former Finnish Formula One world champion Kimi Räikkönen has said he will not continue with the Scuderia Ferrari racing team, where he has been a driver for the last five years. The iceman will be replaced at Ferrari by Sauber driver Charles Leclerc, and in an apparent swap, Räikkönen will then move to Sauber for two years. This week's show was presented by Mark B. Odom and Denise Wall with guests Edem Agbekey-Taylor and Kaisu Keisala-Kaseja. The show's producer was Zena Iovino and this week's sound technician was Katri Koivula.